Carlsberg is currently the world's fourth largest brewer, commanding nearly a 6% global beer volume share in 2011. However, as the company has faced falling demand in its main European markets in the past couple of years, it has been losing share, with fifth-ranked China Resources already threatening the Danish brewer's position in the global rankings. Carlsberg has been struggling with falling beer consumption in its main markets in Eastern and Western Europe as the financial crisis has hit both regions' economies. 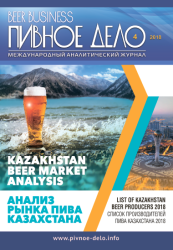 Its sales have been further hit by regulatory measures in its key Russian market (200% duty increase in 2010, new legislation to prohibit beer sales from kiosks from 2013 and a ban on stores selling alcohol between 23.00-08.00hrs). 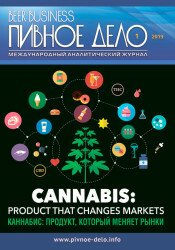 In the nine months to September 2011, the company reported 4% growth in its net revenue thanks to a positive price/mix, but its operating profit declined by 12% due to higher input costs and marketing spend as it had to increase investment to maintain sales, primarily in Eastern Europe. 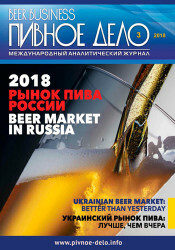 Due to weak performances in mature beer markets in Europe and North America in recent years, major brewers have made strong efforts to create a more balanced geographical footprint so as to be able to take advantage of volume growth in fast-growing emerging markets and value growth in high-value mature markets. Global leader A-B InBev has been taking advantage of its dominant position in Brazil and its growing presence in China, and in 2011 generated nearly half of its total beer volumes in Latin America and Asia Pacific. The global beer industry's second-ranked SABMiller, the least exposed to mature beer markets among the major brewers, has been enjoying solid volume growth thanks to its leading position in the Middle East and Africa and its strong presence in Latin America, while Carlsberg's closest competitor, Heineken, has also been benefiting from its increased footprint in emerging markets, and by 2011 43% of its total beer volume sales derived from Latin America, the Middle East and Africa and Asia Pacific. Carlsberg has also started working on its expansion in developing markets, particularly in Asia Pacific. In 2011, it increased its equity stake in Chongqing Brewery in China to 30%, acquired the remaining 50% share in Hue Brewery in Vietnam and agreed to set up a joint venture with Chongqing Brewery, although its global presence still remained heavily biased towards Eastern and Western Europe. According to Euromonitor International, the two regions accounted for 84% of the company's global volumes in 2011. According to Euromonitor International, Carlsberg's core Eastern and Western European markets offer limited growth prospects over 2011-2016, with predicted volume CAGRs of +1% and -1%, respectively. Hence, the company should switch its focus from volume to value generation and should push its high-margin brands, accompanied by strict cost management to improve its margins. Furthermore, it should also look for opportunities to establish a footprint in the Middle East and Africa and Latin America, which are forecast to register volume CAGRs of 5% and 4%, respectively, over 2011-2016. The quickest way to enter would be through acquisitions but as these regions are highly consolidated, with one or two brewers dominating each market, the company's potential for inorganic growth is fairly limited. Carlsberg's sales are likely to remain focused on the niche but growing imported lager category, and the company should try to create partnerships with local brewers to boost its brands' international presence. Carlsberg's ambition is to become the fastest growing global beer company, measured in terms of average organic growth in net sales and operating profit over a three-year period. 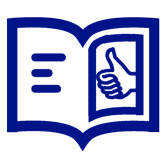 However, the company has a great deal of work to do if it is to meet this ambitious target.